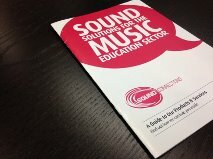 Since 2002, Sound Connections has established itself as the leading supporter of music education in London. Alongside delivering our own projects and programmes, we provide consultancy work for practitioners and organisations across the sector. 2015 sees the launch of Sound Solutions, our new comprehensive guide to the consultancy services we offer. It ranges from project planning and management, to training, professional development guidance, evaluation work, surveying and reporting, and strategy-writing. Our particular areas of focus are early years, challenging circumstances, youth voice/youth leadership, and singing. We work with budgets of all shapes and sizes, so if you think we can help, get in touch and we can adapt our packages to meet your needs and design bespoke work on demand.